A hofje is a Dutch word that indicates a courtyard surrounded by almshouses. Hofjes began in the Middle Ages. Typically privately funded, they provided housing for women of Catholic or Protestant faith. Beautiful gardens such as this one can be found inside. 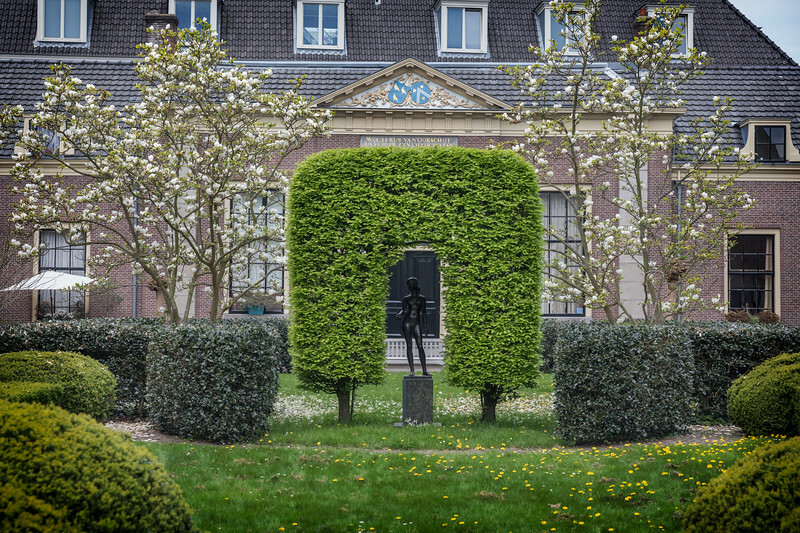 In Haarlem, Hofje van Oorschot was built in 1770 and has been an active hofje since that time. It is framed by buildings in a U-shape, with an iron gate to the street.